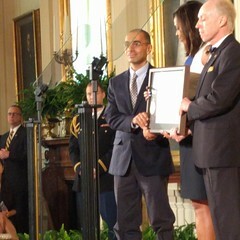 On behalf of the Smithsonian Institution, Richard Kurin (Acting Provost), Nancy E. Gwinn (Director of Smithsonian Libraries), and Martin R. Kalfatovic (Associate Director, Smithsonian Libraries) attended the 22nd IMLS National Medal awards ceremony at The White House, hosted by First Lady Michelle Obama. 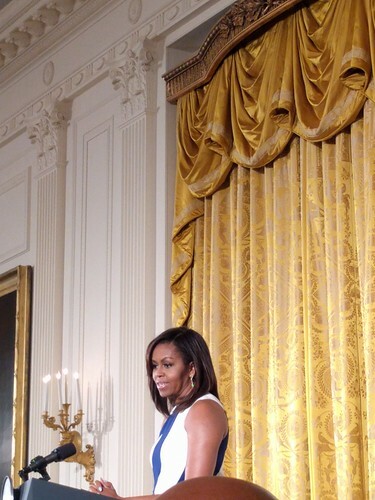 The ceremony was held in the East Room with a reception in the State Dining Room. "The Institute of Museum and Library Services today announced the 10 recipients of the 2016 National Medal for Museum and Library Service, the nation’s highest honor given to museums and libraries for service to the community. For 22 years, the award has celebrated institutions that respond to societal needs in innovative ways, making a difference for individuals, families, and their communities. 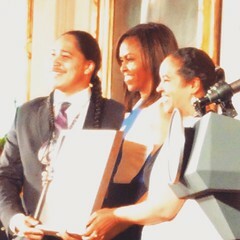 The award will be presented at an event in Washington, D.C., on June 1. 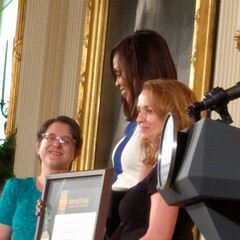 The 2016 winners of the National Medal for Museum and Library Service demonstrate impactful programs and services that exceed the expected levels of community outreach. They were selected from 30 finalists across the country nominated for the honor." 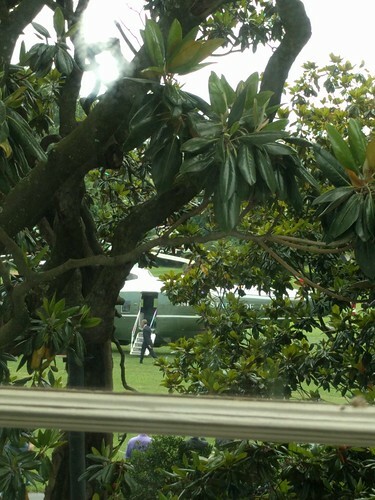 As the reception was wrapping up, Marine One landed on the South Lawn and after a few minutes, President Obama walked across from the West Wing and flew off.